About seven in 10 adults over 65 will require long-term care at some point in their lives, according to the U.S. Department of Health and Human Services. And according to some estimates, close to 68 percent of older adults in residential care or nursing homes have some degree of cognitive impairment. That means that their memory may not be as good as it once was, or they have difficulty thinking through problems. A memory care community is a residential care facility or wing or unit of a residential care facility that is designed specifically to ac the needs of people who have Alzheimer’s disease or other dementias. Some assisted living facilities and nursing homes have specially trained staff or medical teams to work with people who have dementia, and may have a specific wing designed for those residents. The goal of memory care is to provide personalized care that will yield a high quality of life for residents while also reducing symptoms such as aggression, anger, wandering and depression. In general, memory care communities strive to provide residents with a high quality of life while taking additional measures to ensure their safety. There may be security measures in place to ensure that residents do not wander, for example, and some units are locked so that no one may leave or enter. Or you may find that a community takes a less formal approach to security but that the outside grounds are secured so no one can leave the property. You may also notice that the community’s rooms are designed slightly differently, in acknowledgment of the ways people with memory care needs perceive sound and color differently. Memory care facilities may also give you the option of specialized care to help your aging loved one manage their medications and healthcare. These facilities care not just for individuals’ medical needs, however. They also frequently offer opportunities to socialize or engage in hobbies in ways that work best for people with impaired memories. Some communities may offer pleasurable activities, such as therapy pets, musical entertainment or the opportunity to spend time in the gardens, that are known to be particularly beneficial for people living with cognitive changes. Even though national data suggests that over 60 percent of nursing home residents in the U.S. and about 40 percent of residential care facility residents have dementia, only about 17 percent (nearly one in five) residential care facilities offer beds specifically for dementia care needs. Additionally, there is very little consistency from one state to another about the definition of a memory care unit, or how nursing homes may advertise that they have one. The Alzheimer’s Association encourages those who have a loved one with dementia to advocate for consistent policy around memory care. Care for your aging loved one can be expensive. According to CareScout, data from 440 regions across the country suggest that monthly costs for care for aging adults can range from $1,560 per month for full-time adult day care to $9,000 or more per month for a private room in a nursing home. Overall, it’s estimated that dementia care adds an average of $13,000 per year to expected costs for residential care (costs vary depending on where you live and the services you need.) Additionally, some facilities may not disclose added costs for memory care upfront unless you ask for them. The possible benefits of living in a memory care unit include a higher quality of life, less likelihood of tube feeding, less use of physical restraints for patients, less use of antipsychotic medications, and improved medical care for other health issues. While many facilities may state that they have a memory care wing or staff trained in memory care, it’s important to note that the Joint Commission, a non-profit health care accreditation organization, has outlined specific requirements for a Memory Care Certification as part of the Nursing Care Center Accreditation Program, starting in 2014. 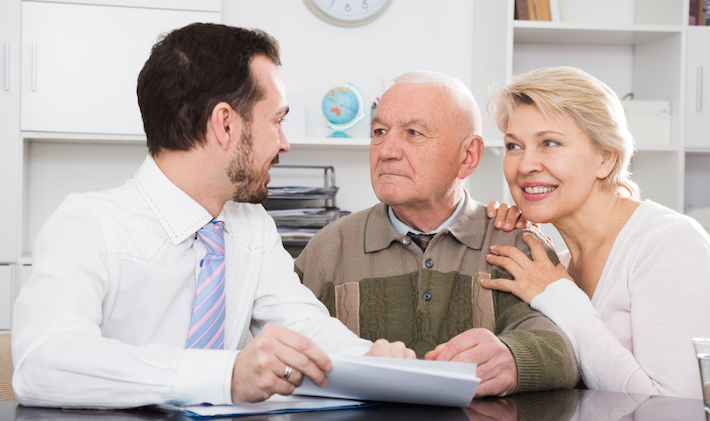 Your loved one’s team will work together, including your aging parent as appropriate, to ensure comprehensive care. The staff can demonstrate training and the necessary skill set to prepare them to work with people who have cognitive impairments. Activities are available that suit your aging loved one’s cognitive ability, memory, attention span, language, reasoning ability, and physical function. The behaviors associated with Alzheimer’s disease and other dementias are addressed first through non-pharmacological means, such as taking a look at scheduling, environment, and other possible triggers for behavior. The physical environment is managed by the staff to reduce stress and overstimulation, and to keep all residents safe. Care and programming that is geared towards people who have Alzheimer’s disease and other dementias, and can be personalized to suit your aging parent’s needs, preferences, and abilities. Staff conducting programming are trained in memory care. Advanced staff training and demonstrated competence in current best practices in dementia care. The facility should provide activities for socializing and connection around meals and recreational times, which also can include families and are welcoming for all ages. Interior environments that are designed to keep noise at a minimum, reduce confusing visual cues, and are also safe and functional for patients and residents with dementia. Welcoming and organizing activities with national organizations focused on educating about dementia, as part of an institutional commitment to professional learning. Support groups for families and caregivers. Community spaces that are welcoming for socializing, with clear opportunities to seek privacy if needed. The option to personalize your loved one’s space with photos or other memorabilia. Hallways that are shaped like “L”s or “H”s instead of straight lines. The space is easy to navigate, with signs or numbers that let residents know where everything is. Exit doors are camouflaged to limit wandering or trying to leave. Low-contrast flooring to limit agitation. Adjustable lighting, with options that closely match natural lighting. Spaces that seem overly institutional, only have straight hallways, have high contrast floors and obvious exit doors have all been linked to increased aggression and anxiety, a 2017 study shows. Memory care communities are licensed facilities staffed by professionals who are specifically trained to provide care to Alzheimer’s and dementia patients. These facilities are designed to accommodate older adults with progressive cognitive disorders. Research increasingly suggests that activities such as music, art, gardening and dancing are beneficial for people with cognitive impairments, depending on their physical abilities. Memory care facilities may also offer these activities, led by staff or volunteers who are trained to work with people who have Alzheimer’s disease or other dementias. As a result, the activities may be similar to what you would find in other residential facilities — but with some slight adjustments to keep people with cognitive impairment engaged and enjoying the event. For example, many people with memory care needs enjoy putting together puzzles — and facilities may support that by providing puzzles that have larger pieces and simpler designs so residents can enjoy the process without too much frustration. If your aging loved one has always been involved in a faith practice or community, look for a memory care program that also supports their faith. Individuals who have trouble remembering new faces and names may still be comforted by the traditions, rituals, and music associated with their lifetime of religious observance. Most memory care communities are designed to make residents feel safe, secure and oriented in their environment. Specially designed features include safety precautions to prevent wandering such as secured courtyards and doors with alarms, keypads or other controlled entry/exit. Personal monitoring devices and security cameras also often are used. A commitment to safety also can extent to consideration of what kinds of food and drink are made available. Many of these communities offer cognitive therapies and programs meant to keep the brain active and engaged. Similarly, appropriate physical activities and light stretching may be offered to protect resident’s balance and flexibility. Many memory care communities also provide services for the families of people with dementia or Alzheimer’s disease. These range from activities in the facility which are planned so that aging adults can still enjoy their family all the way down to the youngest great-grandchild to support groups for family members. As you prepare for the future and begin to consider the right long-term care solution for your aging loved ones, it’s important to understand the different types of long-term residential care that are available. Here, to help you make the best decisions possible, is a look at two different but increasingly common residential care options for elderly adults — assisted living and memory care. Assisted living is a long-term living option designed for seniors who are generally healthy but need some help with activities of daily living. Residents of assisted living communities live as independently as they’re able, but with the knowledge that helping hands are never too far away. Assisted living residents typically have private studios or apartments, although some may find that it’s more economically feasible to share an apartment with another resident. Most apartments are equipped with full bathrooms, kitchenettes and enough space to relax while watching television, enjoy time with family and friends, or engage in hobbies. Many assisted living facilities also offer transportation to doctor’s appointments and organize regular outings to restaurants, shopping centers and other attractions, helping your loved ones stay active and engaged in their communities. Most assisted living communities also organize a variety of regular activities, classes and social events for residents. Assisted living communities have trained employees on site to help them with activities of daily living. At most communities, nurses and facility staff are available around the clock to assist residents with these basic activities including eating, bathing and dressing. Some assisted living communities also have on-site medical clinics. At most assisted living communities, additional levels of care are available for residents who need more assistance. 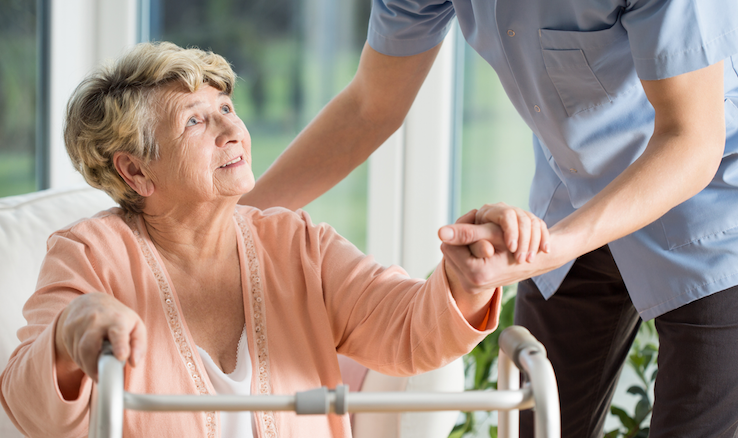 Additional care services might include incontinence management, pain management, physical therapy or assistance for those who are at greater risk of falls. Memory care facilities have highly trained nurses on staff who are trained to provide care meant to ensure the wellbeing of people with Alzheimer’s disease, dementia and other memory problems. Staff at memory care communities provide residents with highly supervised care that includes assisting with everyday activities including bathing, dressing, eating and managing medication. They also work closely with residents to help them enjoy the highest quality of life possible. At most communities, staff members work to engage residents in fun, stimulating activities that are specifically designed for adults with dementia and have them interact with other residents. Memory care facilities are designed with the safety of residents with dementia in mind. Most communities offer both private and shared rooms that are secure, equipped with emergency call systems and are highly monitored in order to lower the likelihood of a resident wandering. 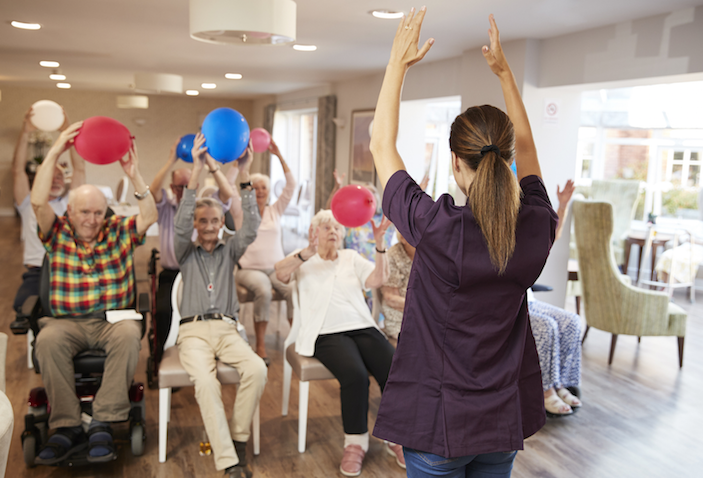 Memory care communities generally provide meals, specialized exercise programs, social activities, transportation to nearby clinics and shopping and 24-hour staff supervision. Assisted living communities typically charge a base monthly rate, which generally covers rent, housekeeping, some transportation and daily meals. Additional services such as laundry, cleaning and specialized care may cost extra, or they may be included in the community’s overall monthly fee. According to the Genworth’s 2018 Cost of Care Survey, the average cost for assisted living ranges from $3,293 to $6,965 per month, depending on a number of factors including the resident’s healthcare requirements, the size of their apartment and the facility’s geographic location. Because people with dementia and other memory problems typically require more extensive, specialized care than other older adults, memory care facilities tend to be pricier than assisted living facilities. Costs at memory care communities cover the same types of services that you’d typically find at an assisted living community, in addition to specialized care. The average cost of rent and care in a memory care facility in the U.S. adds up to anywhere from about $3,700 to $7,000 per month, depending on where you live. Many of the differences between memory care and nursing home care resemble the differences between memory care and assisted living, except that nursing home care offers a more intensive level of medical and personal care. Nursing homes also may be referred to as “skilled nursing facilities.” People living in nursing homes are typically less able to live independently or care for themselves than people who can live in an assisted living facility. According to the National Institute on Aging, nursing home care includes a wide range of services. This is a good option if your aging loved one needs 24-hour supervision and medical care, someone else to prepare all meals, rehabilitation services, and assistance with most activities of daily living. A nursing home may be needed temporarily or on a longer term basis because of ongoing needs for care. As with assisted living facilities, nursing homes do not always include a memory care unit or have trained memory care staff. It’s important to ask about staff members’ level of knowledge and training if you have an aging parent with dementia or Alzheimer’s disease. Facilities should be evaluated to ensure that the needs of the resident and family are met and exceeded. It’s usually best to choose a facility that’s located near family members in order to allow for regular visits. Before making any decisions, families should tour and evaluate prospective facilities with the following criteria in mind. Meet with facility staff to discuss whether the facility can manage your loved one’s condition both now and in the future. Rooms and bathrooms should have emergency call systems. Staff should perform in-room checks on a regular basis. To prevent wandering, Wanderguard or other personal monitoring systems should be used or the dementia area should be secured. Take a look at residents to determine the level of personal attention and care they are receiving””are they well-groomed and clean? Make certain staff has specialized dementia training on top of being good care providers. This means caregivers understand the disease and how to communicate with individuals who are not always able to express themselves. They should know how to manage combativeness, recognize signs of pain and be able to create solutions for the challenges often associated with eating, bathing or toileting in dementia patients. Ask management how often care plans are re-assessed. It should be on an as-needed basis and every few months. Check not only the amount of available activities, but also how appropriate they are for your loved one’s cognitive abilities. Usually dementia programming mimics everyday activities, such as having a dementia-safe kitchen for cooking activities, has time set aside for art projects or reminiscence and incorporates some basic exercising. Keep in mind nutritional needs and also your loved one’s personal preferences, which may become more limited in moderate to later stages of Alzheimer’s. Individuals with dementia do better with a regulated schedule as such ask the administration about what the everyday routine is. Common areas should be free from clutter as dementia patients often have trouble seeing low-lying objects, such as coffee tables, or distinguishing objects from one another. Many good Alzheimer’s care facilities have special areas, such as one for reminiscence, a quiet room or sometimes even a Snoezelen (a controlled multisensory environment that reduces stimulation). A reminiscence area may have childhood toys or dolls, sports memorabilia or other items that help bring up memories and can aid in helping dementia patients talk about their lives, especially with visiting family members. Quiet rooms are places that often have low lighting and virtually no stimuli and can aid agitated dementia patients. A Snoezelen is a room with specialized lighting, tactile surfaces, calming music and sometimes pleasant odors; it works to stimulate the five sense and can be soothing for some dementia patients. Lighting should be bright, even and warm. Carpeting, drapery and furnishings should not have busy patterns as it can be mistaken for insects or other objects. Resident’s rooms should be clearly marked and it is a good sign when the resident’s artwork and family photos adorn the walls to personalize each room. Kitchens should not have microwaves or access to anything with which a person might hurt themselves such as knives, scissors or exposed burners. All taps should have well-marked hot water handles so that individuals do not accidentally burn themselves. Individuals with Alzheimer’s often benefit from spending time outdoors; however, any patio or garden areas must be secured or fenced so as to keep residents safe. Some facilities even have special gardening areas or greenhouses which can be a very rewarding activity. A facility’s licenses and insurance documentation should always be up to date and accurate. It’s a good idea to check references from families who have had loved ones with similar diagnoses as your loved one in order to measure actual experiences. Review the resident’s and their families’ rights to determine how any concerns that may arise will be handled. Try to determine the overall “feel” of the facility and notice whether it’s generally calm and organized. The best facilities encourage family participation and strive to maintain the dignity and safety of those entrusted to their care. You should also take note of what the average cognitive levels of the population is and what the protocol is in place for patients should their dementia becoming progressively worse. Gilbert Guide offers information so you can find the Alzheimer’s care facility that is right for you. Find Alzheimer’s care facilities in your area. Here are some questions to ask to help make the decision easier. As with any residential facility, try to visit at least once to get a good sense of what the facility is really like, not just what the facility’s advertising says about it. Is the facility able to accommodate people at all levels of dementia, or only at specific levels? Why might a resident be asked to leave the facility? Who assesses residents’ health and cognitive functioning? How often is that assessment repeated? 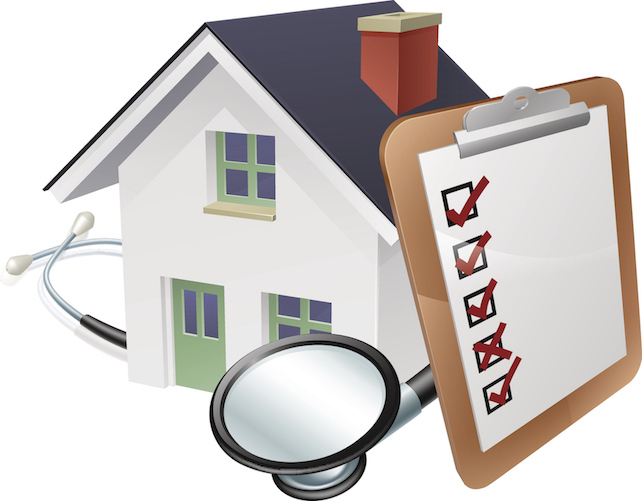 Does each resident have a formal, written plan of care? Does the facility help with all ADLs, including bathing, toileting, and eating? If the facility is part of an assisted living facility or continuing care retirement community, is the memory care section separate from other areas? Is the memory care area all on one level? Are the residents’ rooms private or shared? Is the facility laid out with circular hallways so that residents aren’t frustrated by cul-de-sacs? Is there an enclosed, secure outdoor area with walking paths? Does the facility feature even, good lighting in hallways and common areas? Does the facility feature nonslip floor surfaces in all rooms, including bathrooms? Is the interior and exterior of the facility secure? What methods are used to keep tabs on residents and make sure they don’t wander out of the building or off the grounds? Are doors and rooms labeled clearly, both with words and pictures, to help residents orient themselves? Do residents have “memory boxes” outside their rooms to help them identify the right room and to help staff members get to know them better? Are the colors used throughout the facility bold and unpatterned? Does the facility feature good natural or faux-natural lighting in residents’ rooms and common areas? Is the facility generally pleasant, clean, and peaceful? What kind of dementia-specific training do staff members have? Do staff members seem to know each resident’s name, personality, and background? Do staff members seem kind and attentive to residents’ needs? Is there an RN, LVN or CNA on staff? How do the staff members deal with difficult behaviors, like aggression, mood swings, and sundown syndrome? What is the facility’s policy on the use of restraints — both physical and chemical? Do residents seem to enjoy the food? How does the facility encourage eating among residents who are uninterested in food — or how does it encourage residents who tend to overeat not to be unhealthy? Studies have shown that contrasts, such as brightly colored plates, can encourage people with dementia to eat more. Will the facility cater to special nutritional needs or requests? Does the facility offer spiritual or religious services that your loved one would enjoy attending? Does the facility allow pets? Does the facility have any of its own pets? What activities are offered to residents? Do they seem like they would engage your loved one? Does the facility offer regular exercise sessions for residents who are physically able to participate? What resources are available to engage residents’ long-term memories? Some facilities offer fake kitchens where former bakers can feel at home, or stations where residents can fold laundry or do other familiar tasks that might be comforting.